Seasonal: Open 30 minutes before scheduled departures. 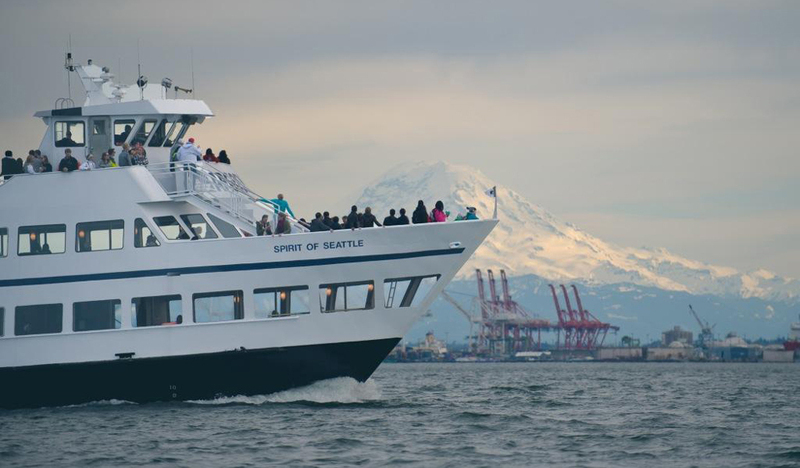 The quintessential Seattle cruise experience. 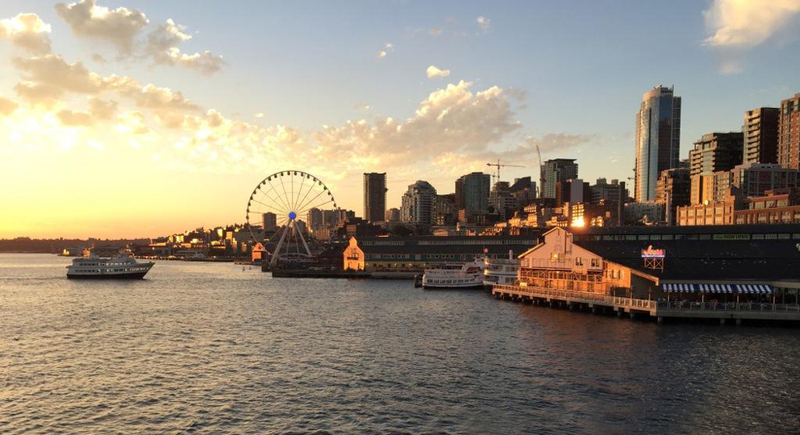 Learn Seattle history, be dazzled by the ever-evolving Emerald City skyline, explore the workings of our shipping port, get a close-up view of Seattle’s historic waterfront, all wrapped up in the natural beauty of Elliott Bay and the surrounding Olympic and Cascade Mountain ranges. 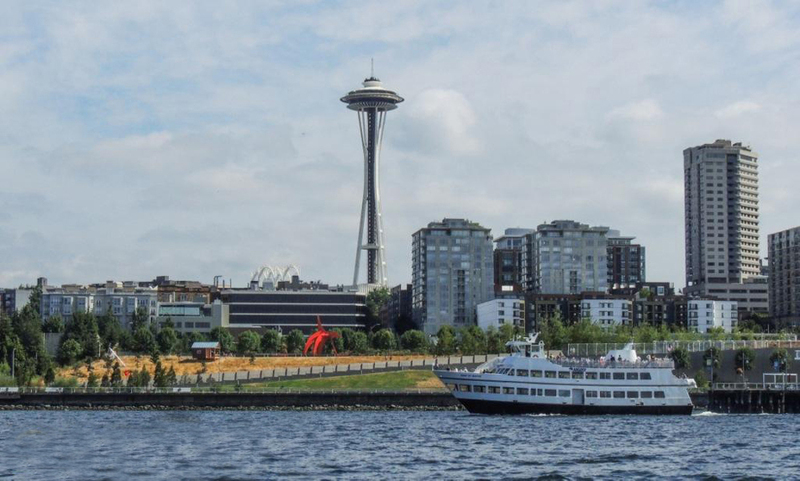 Panoramic views of the Seattle historic waterfront, Puget Sound, the Olympic Mountains and Mount Rainier, towering container ships and cranes, the downtown skyline, and our sports stadiums. 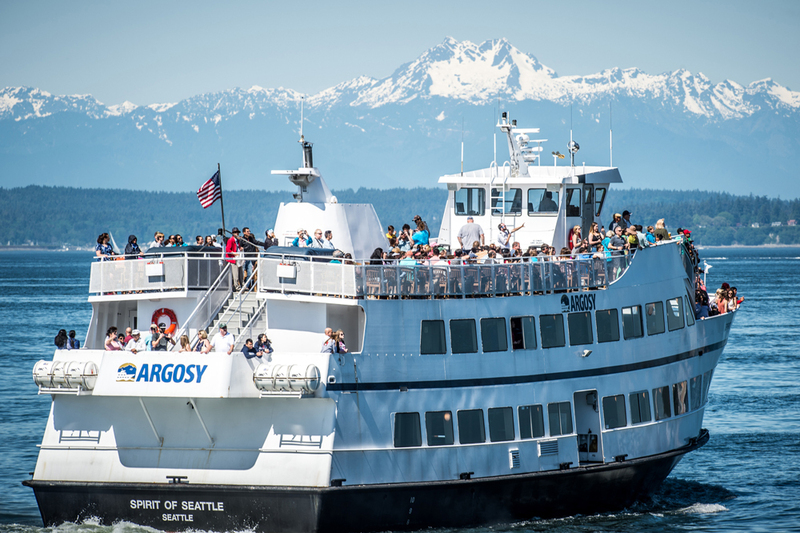 Up-close views of towering container ships, cruise ships visiting seasonally, and wildlife like petite harbor seals and large California sea lions.